What It's Really Like to Race 7 Marathons on 7 Continents in 7 Days? Get a glimpse from two-time winner Becca Pizzi! Becca is 38 years old and lives in Belmont MA with her husband Joe and 10 year old daughter Taylor. Having been the first American female to run the World Marathon Challenge in 2016 - 7 marathons on 7 continents in 7 days - Becca recently went back, and she made history by running it again, and breaking the World Record in 6 Days, 7 Hours and 58 minutes. 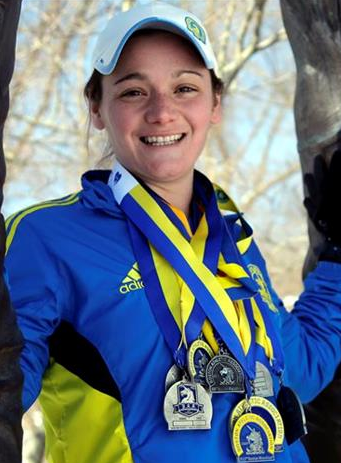 She has run over 70 marathons with 17 of them being her favorite Boston Marathon. Her current goal is to complete a marathon in all 50 states and to compete in the Kona Ironman.